From August 24th we'll see Mwasalat launch a new line that'll link from land to sea! "Muscat-Shinas-Khasab Route" will provide a link from buses on the land to ferries across the sea and will provide four round trips a week at various times. There's going to be two trips on the Muscat-Shinas-Khasab route on Sunday and Thursday. The journey will take place on the same day from Muscat at 12:15pm and the ferry will leave Shanas at 4:30pm and arrive at Khasab at 7:00 pm. 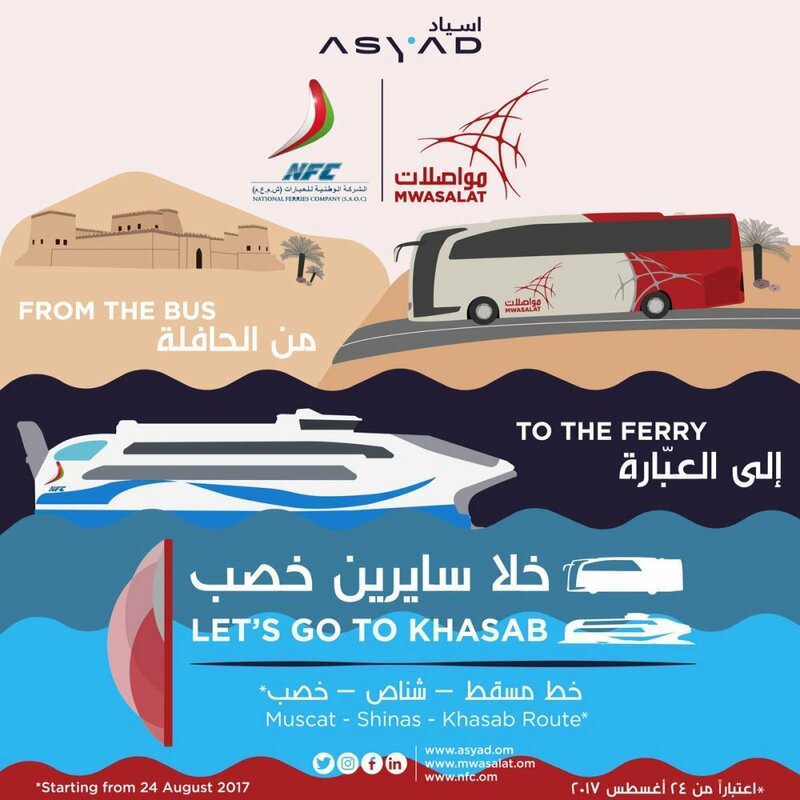 The other two on the Khasab-Shinas-Muscat route will be on Saturday and Tuesday, the ferry will depart on the same day from Khasab at 1:00 pm and the bus will leave Shanas at 4:50pm and arrive Muscat at 8:20pm. Did you plan for the trip of the #land & #sea ?